Kantar Worldpanel released its annual report with the title of ‘New Beauty Generation in China” during its first China Beauty Foresight summit on 24th May. According to the report, China’s skin care and make up market continued to report buoyant growth in 2016, at the rate of 12% and 13% respective, well above the growth rate of fast moving consumer goods (FMCG) industry. Yet the purchase behaviors of the Chinese consumers are rapidly changing and the competitive landscape is experiencing a significant shift. Consumers are getting smarter in collecting information of products and choosing the channel of purchase based on different aspects such as price, product choice and convenience. New players are emerging, hoping to ride on the growth momentum while the industry is also facing many competitive challenges. It is also the first time that Kantar Worldpanel China released the top 10 most chosen skin care and make up brands in China based on its 40,000 strong individual beauty panel. 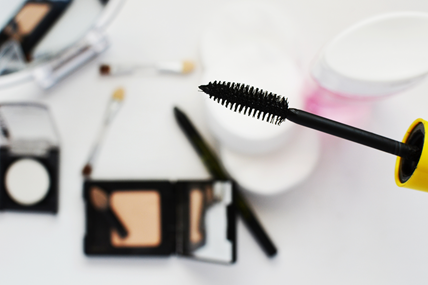 The list is a barometer reflecting real consumers’ choices in buying beauty brands. Kantar Worldpanel reported that Pechoin emerged as the most chosen skin care brand in 2016. The brand reached 15.9% of the Chinese consumers who bought the brand 1.7 times on average. 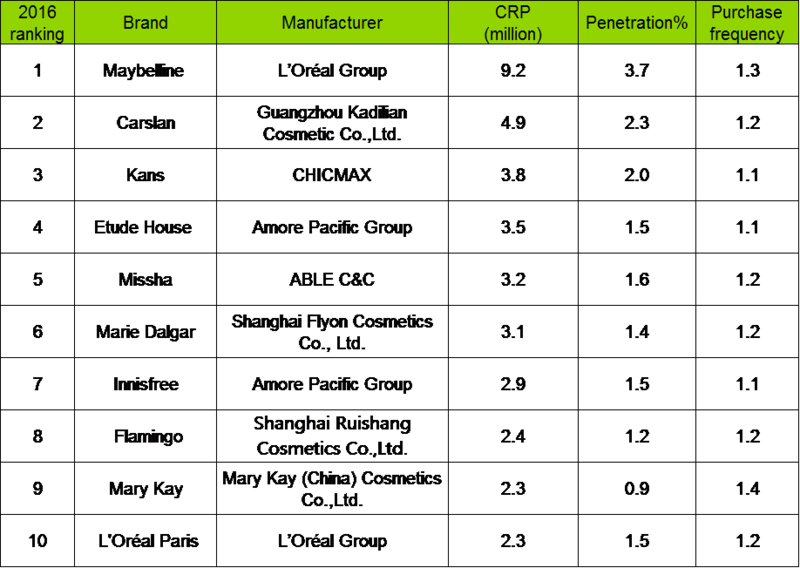 Pechoin was also the only brand with consumer reach points (CRP) over 100 million in urban China. In makeup market, Maybelline was the most chosen brand by Chinese female consumers in urban China in 2016. The sector is still in an emerging stage, with relatively low purchase incidences across all major brands. Therefore market development is the key theme, and all players have significant room to improve their penetration. Penetration also set Maybelline apart from other players in the market. Carlslan was the most chosen Chinese brand in 2016 according to the ranking. According to Kantar Worldpanel Beauty, competition in the beauty sector has become increasingly fierce despite strong growth. Total share of top 20 skin care and make up brands dropped by 5 points and 7 points respectively in 2016, indicating the market is more fragmented and has seen new players enter the market. Big brands cannot sustain their positions if they ignore consumer demand and fail to adapt to a consumer-centric world. Jason Yu, General Manager of Kantar Worldpanel Greater China, commented that the young generation, regime development as well as digitalisation will continue to drive the growth of China’s beauty market in the coming 5 years. Purchase and usage of beauty products is part of the lifestyle for millennial consumers. Influenced by global trends, Chinese consumers’ pursuit of health, convenience and pleasure will be critical to win more consumer choices. China’s beauty sector maintained robust growth in 2016, driven by premiumisation and regime development. Consumers are more willing to pay for high quality beauty brands. In China, prestige brands shall focus on younger consumers as the key target. A greater need to care for their skin and increased knowledge about beauty products has meant consumers are adding more steps in their care regime. In 2016, premium skin care entered a stage of full-fledge development and care regime reached a tipping point. Consumers are becoming smarter and more selective by category. Consumers made their choices of brands based on self-assessment. Brands need to develop hero SKUs and build a unique advantage in specific sub-categories. The beauty sector will become more fashion oriented. Consumers are starting to pay for the ‘purchase experience’ as well as the product themselves. Kantar Worldpanel’s Brand Footprint Ranking reveals the strength of brands and uses an insightful metric called Consumer Reach Points which measures how many consumers are buying a brand (its penetration) and how often (the number of times shoppers acquire the brand). This unique calculation of penetration and frequency helps brands to clearly understand their reach within China in terms of actual consumer reach and provides a vital guide on which market present the biggest opportunities.